and the Missile Crisis of 1962. "An illuminating study that greatly contributes not only to the understanding of the Cuban conflict and the missile crisis but also of the United Nations and its most powerful members." Noam Chomsky (MIT, Boston, USA). "A very interesting look at high level United Nations diplomacy, CIA covert actions and the detail of US hostility towards the Cuban Revolution from Day One." William Blum (Author of: Killing Hope. US Military and CIA Interventions since World War Two). 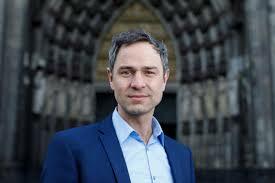 Daniele Ganser is a political analyst with the Swiss think tank, Avenir Suisse, in Zürich, Switzerland. He studied History, Philosophy and English at Basel University, Switzerland and at Amsterdam University, Netherlands. With a focus on prominent power structures of the twentieth century and political crime, Ganser researched at the London School of Economics and Political Science (LSE) in England on US Foreign Policy and earned his PhD in History from Basel University with a thesis on Gladio: NATO's top secret stay-behind army, CIA terrorism in Western Europe, and the democratic failure to control secret services (2001).